More cost-effective than a Ryanair flight, allow me to introduce a special edition of our High-Street Pieces Everyone Wants Right Now, According to Instagram franchise. 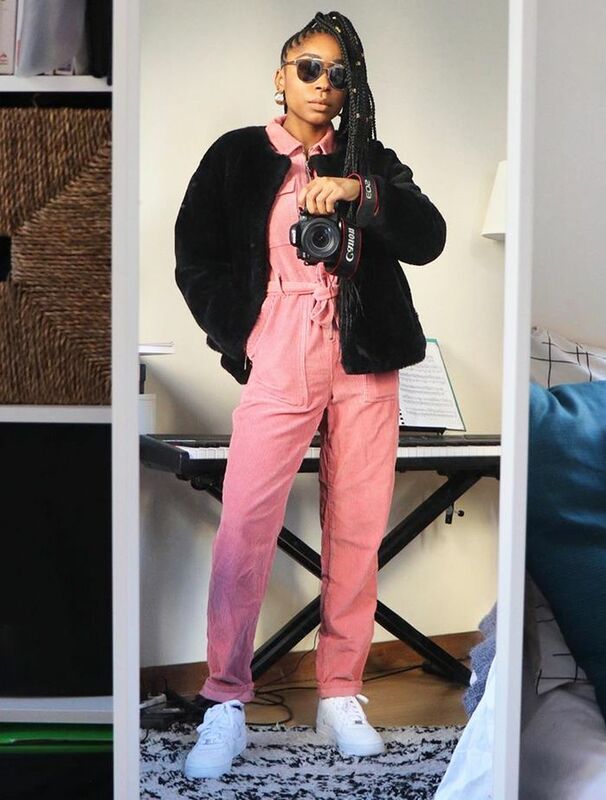 We've been virtually roaming the feeds of European cool-girls to pinpoint the affordable items trending in different parts of our fashionable continent. Hey, Spain—what's new? Are all of the hippest Spanish girls actually buying pieces from some of the high-street's less obvious stores? How about those Scandi ladies? They're as partial to Mango are we are in the UK, but maybe there's a new, more local brand for us to discover… In short, you need to look at the chic women below, see what they've chosen to snap up from the latest high-street and online drops and potentially start making a list. 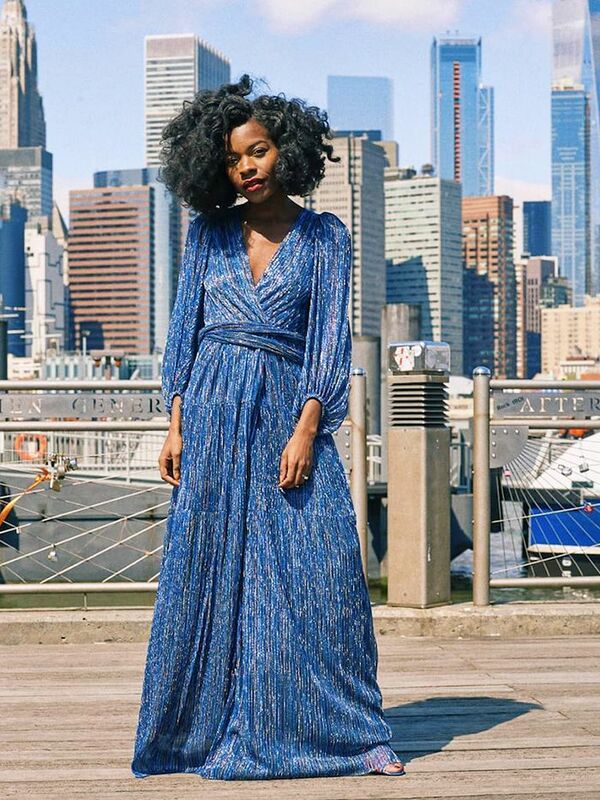 Bold pieces are trending. This may come as a surprise to everyone, considering how French girls tend to favour a pared-back aesthetic, but perhaps that's why they're buying statement pieces on the high street. It's less commitment, after all. Topshop's pink boiler suit is still going strong, but if you want a real bargain, look no further than Mango's cut-price bag. Elsa wears Topshop's cult corduroy boiler suit well with a black Borg jacket and box-fresh kicks. This sheer polka-dot blouse from Zara is already a Who What Wear team favourite. Syana knows that all she needs to make her tonal outfit stand out is Mango's lilac beaded bag. It's ALL about statement-making pieces in a spectrum of colours and hues. From excellent tailoring to bold prints, it turns out there are many ways to stand out from the crowd this season. Candela's Massimo Dutti culottes have now sold out, but the brand has come to the rescue by offering up a very similar pair. While it's not technically high street in the truest sense of the term, Tamu's tiger-print Rixo skirt (actually, this entire outfit) is too good not to share. Even we wouldn't have guessed these Carrie Bradshaw–style mules came from the high street. Kudos, Erika. Unsurprisingly, on the Scandi-girl agenda right now are boots and cover-ups with a slice of animal print thrown in for good S/S 19 measure. Oh, and lots of Mango. Hanna bought the Mango boots we've all been raving about. Because of course she did. Nnenna's Gina Tricot trousers have sadly sold out, so we're making sure we snap up the matching blouse before it follows suit. 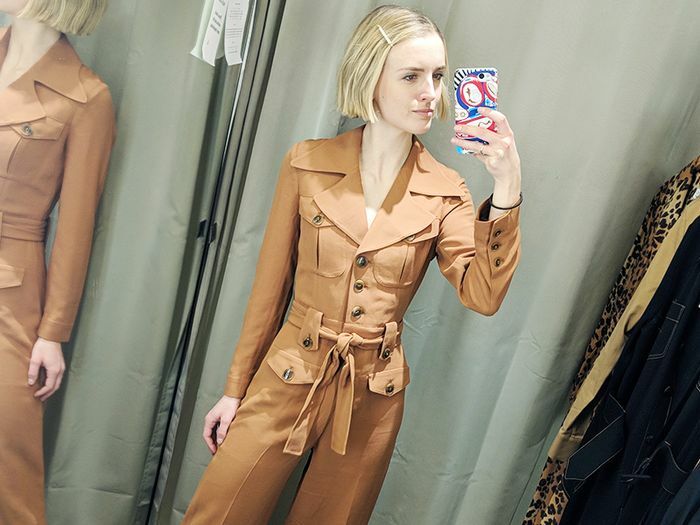 If you don't snap up Pernille's Mango blazer, we definitely will. Separates are dominating the Spanish scene, big time. From throw-on knits to trousers to bold you can pair them with anything and it'll look like you've made a considerate amount of effort, these girls are all about ease of wear. Which is likely why they've also managed to sniff out the bag that'll make any outfit look polished. Maria's Anthropologie tomato red palazzo pants and off-the-shoulder Breton are just beyond good. Jessie may originally hail from New Zealand but now calls Barcelona her home. And in that home is many a brilliant high-street piece, including this powder blue Ted Baker knit. @coohuco knows where the best affordable bags are found—always Uterqüe. Next up, the high-street pieces we spotted at fashion week.